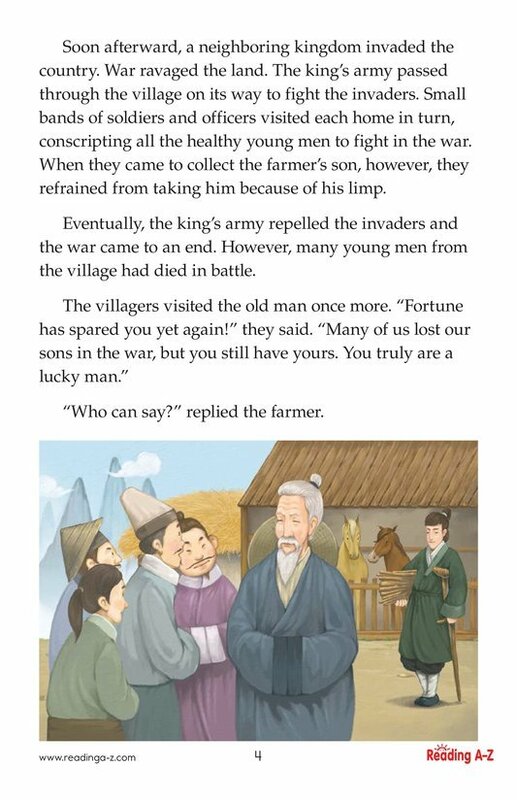 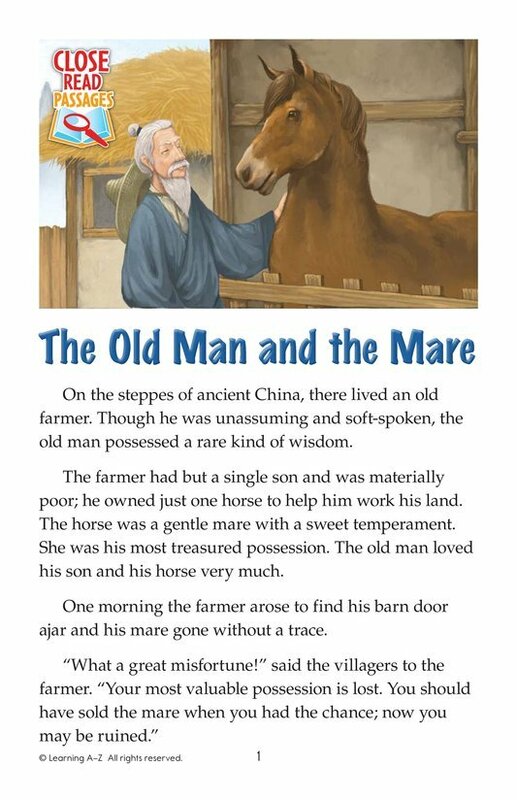 In ancient China, an old man tends his farm with the help of his only son and a single mare. 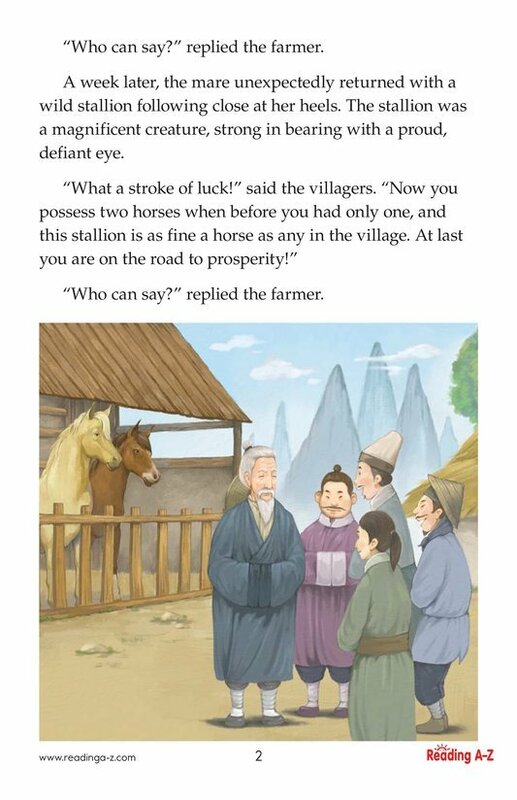 As various events befall the farmer, the villagers are quick to judge each turn of fortune. 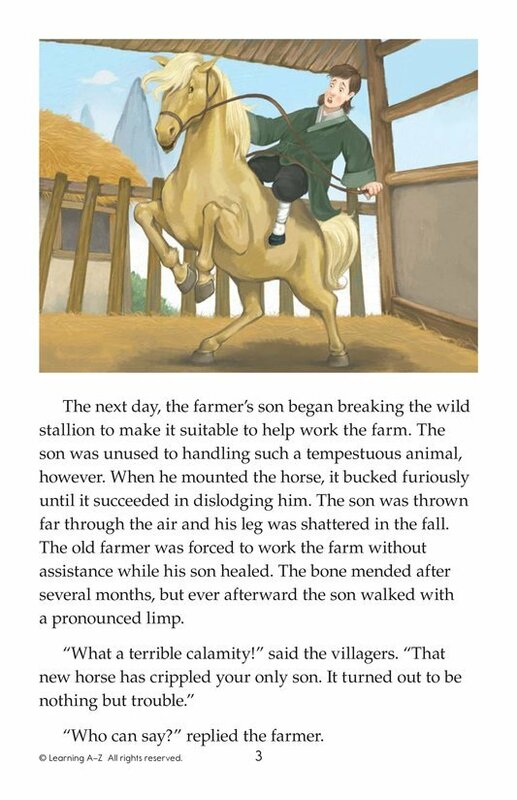 The wise farmer, however, refuses to label events as either good or bad, preferring to take each day as it comes.